Summer decorations are sparse around my home, especially inside. I try to spend my days outside with my kids, family and neighbors enjoying the weather. My porch, deck and yard are decorated with bright lively colors of the season, but inside not much has changed since Spring. I thought I would change that with a simple patriotic banner for my living room. I was inspired by some navy blue fabric scraps and a surprise supply from my laundry room. 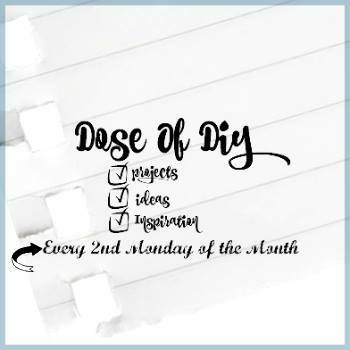 I am joining with some very talented friends for this month’s Dose of DIY blog hop. Be sure to check out their patriotic projects at the end of this post. 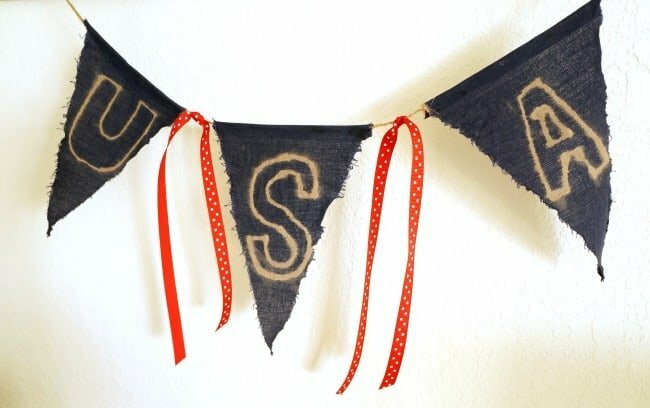 I made this vintage looking banner with a few simple supplies I had at home. 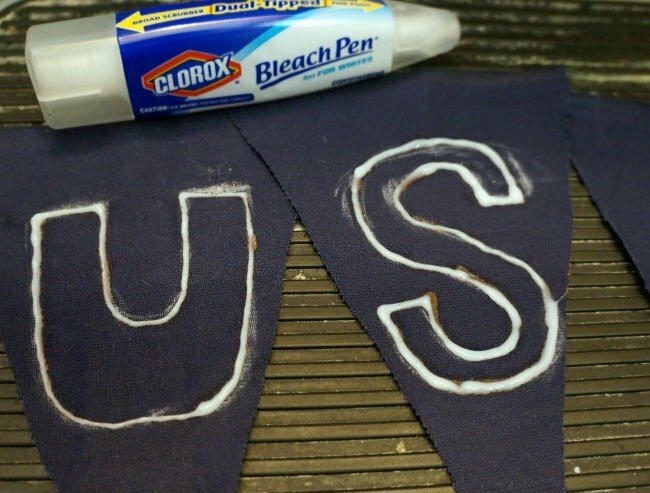 I cut three pennants from the navy blue fabric then used a bleach pen to write USA on them. 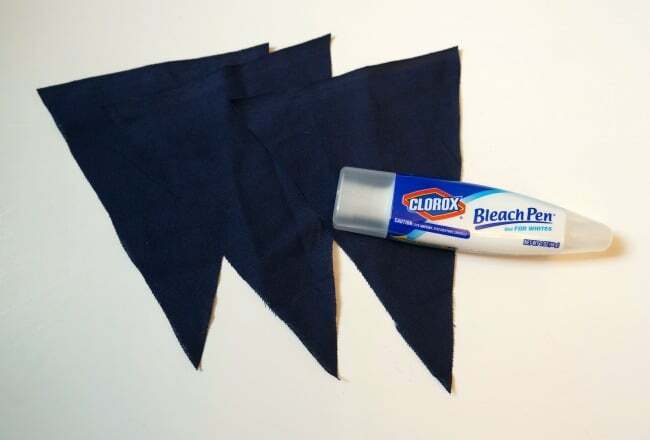 I let the bleach sit for a few minutes, it’s a gel so it stays in place and works quickly to fade the fabric. Then I washed the pennants in the sink with soap and water and hung the out to dry. The bleach pen gave the letters a worn vintage look, and washing these unsewn pennants allowed the edges to fray a bit. 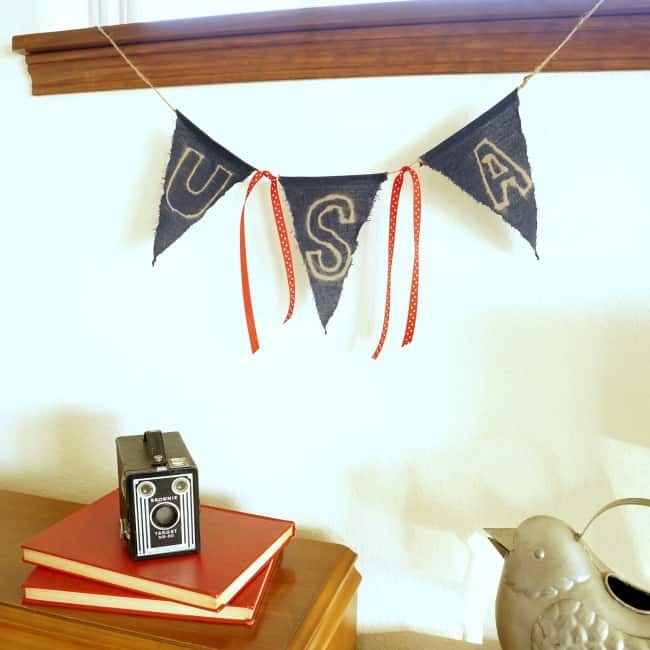 I assembled the banner using twine and red ribbon and hung it in my living room to add a little patriotic cheer to the room. 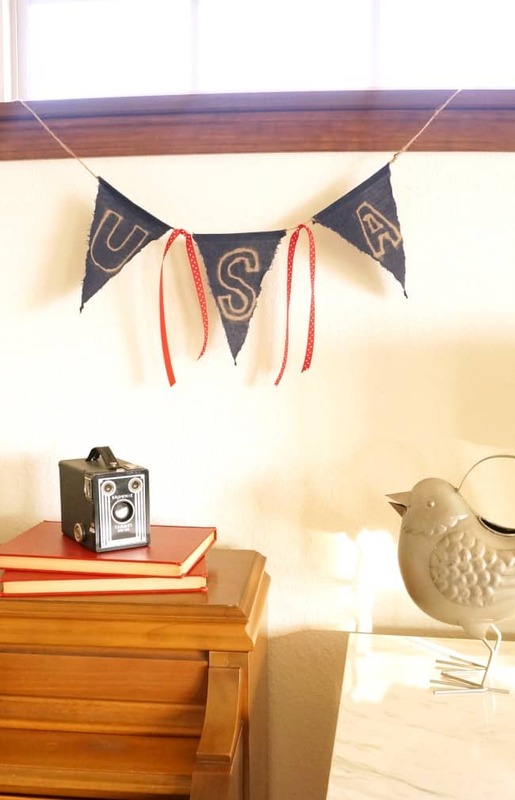 Now be sure to check out these other patriotic projects in this month’s DOse of DIY blog hop. Absolutely adorable!! You have me wanting to make one right away! Perfect for dressing up my summer door wreath. Thank you for sharing! I love this. This is so awesome! I love it so much and the fact that it is so simple is even better! I so want to try this! Love how the banner turned out!